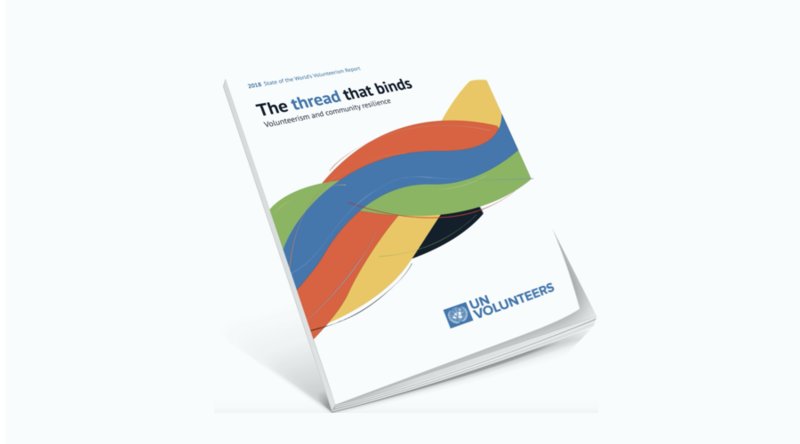 Download the State of the World’s Volunteerism Report 2018: The Thread that Binds [embargoed until 18 July 2018]. Visit UNV and check out our SWVR blogs. The United Nations Volunteers (UNV) programme is the UN organization that contributes to peace and development through volunteerism worldwide. Volunteerism is a powerful means of engaging people in tackling development challenges, and it can transform the pace and nature of development. UNV is active in around 130 countries every year. , is represented worldwide through the offices of the United Nations Development Programme (UNDP) and reports to the UNDP Executive Board. For more information go to https://www.unv.org/swvr/resilientcommunities, and follow us on Twitter and Facebook.